So as to accomplish high level of customer trust, we are keenly involved in offering Vertical Garden. We offer them at reasonable rates. To fulfill the varied demands and wants of clients, we are providing Vertical Garden Landscaping Service to our customers. Presented services are implemented within the stipulated period of time. Additionally, these offered services are highly demanded due to their best garden maintenance. 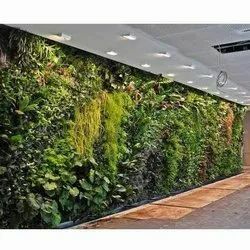 Keeping in view assorted requirements and demands of our honored clientele, we are competent to render Vertical Garden Landscape Designing Services to our customers. Our service is accomplished using the advanced techniques. 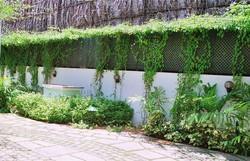 We are well known for providing Vertical Garden landscaping services. We utilize advanced machines and latest technology in order to render a qualitative range of gardening services. offered services are provided by our proffessionals according to client's specification with attractive looks. Prices can varies and negotiate according to buyer's requirment and specifications. Being renowned enterprises in this industry, offering an optimum quality assortment of Vertical Garden Development Service to our customers. Offered array of services is rendered using best quality components by our professionals with the help of new technology installation tools. These services are admired due to its reliability, and timely execution. We are the foremost provider of Vertical garden Green Wall. These products are recognized amid patrons for their top features such as longer life and unique design. Our company is highly esteemed in providing Vertical Gardening Services. Due to our proficiency of this industry, our firm is occupied in rendering Vertical Gardening Service. These services are accomplished by industry capable professionals, who have affluent understanding of this realm. Furthermore, we render this service at nominal prices. Vertical gardens are the best at enhancing your space or hiding any flaws in it. If you are running out of space in your home try the vertical green walls which look very vibrant and gives your space a positive energy.